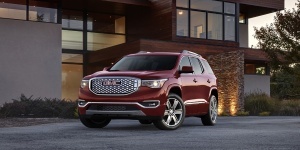 The GMC Acadia provides seating for up to seven in a spacious and versatile cabin. Powered by strong four- and six-cylinder engines, the Acadia is offers a compliant ride and optional AWD. 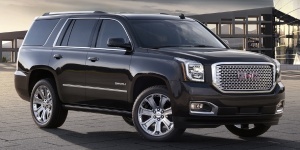 Powered by a choice of V8 engines, the GMC Yukon combines a spacious and nicely built interior for up to nine with a comfortable ride and a towing capacity of 8,500 lbs. Get the best price for the GMC of your choice from a dealer in your area. Request a price quote now.